PT. 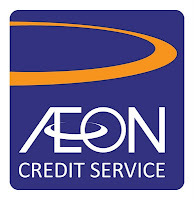 AEON Credit Service Indonesia is the subsidiary of AEON Credit Service Co., Ltd., a leading multinational finance company in Asian region, which provides financial services including but not limited to consumer finance, credit card, personal loan, insurance, and banking. The parent Company and its subsidiaries listed at respective stock exchange in Japan, Hong Kong, Thailand, and Malaysia. In Indonesia, we have started our operation since 2006, and currently we are providing consumer finance for electronic, home appliance, furniture, music instrument, PC, and mobile phone. Currently we affiliated with more than 1500 merchants, including Giant, Carrefour, Lotte Mart, Electronic Solution, Best Denki, Yamaha Music Dealers, Erafone, Superhome, Furnimart, Yuki Springbed, and many others.